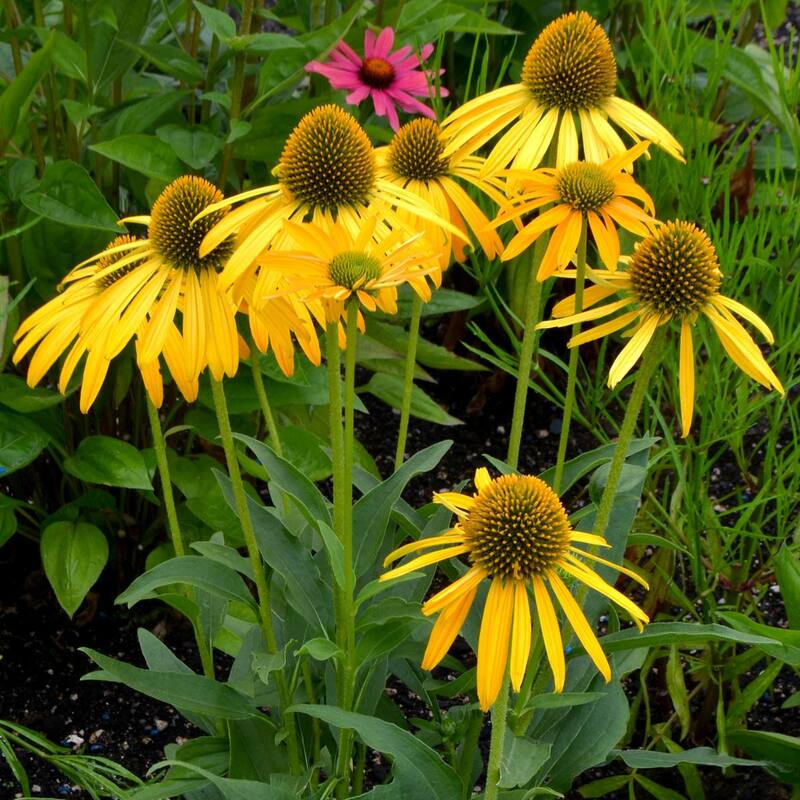 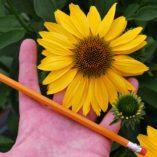 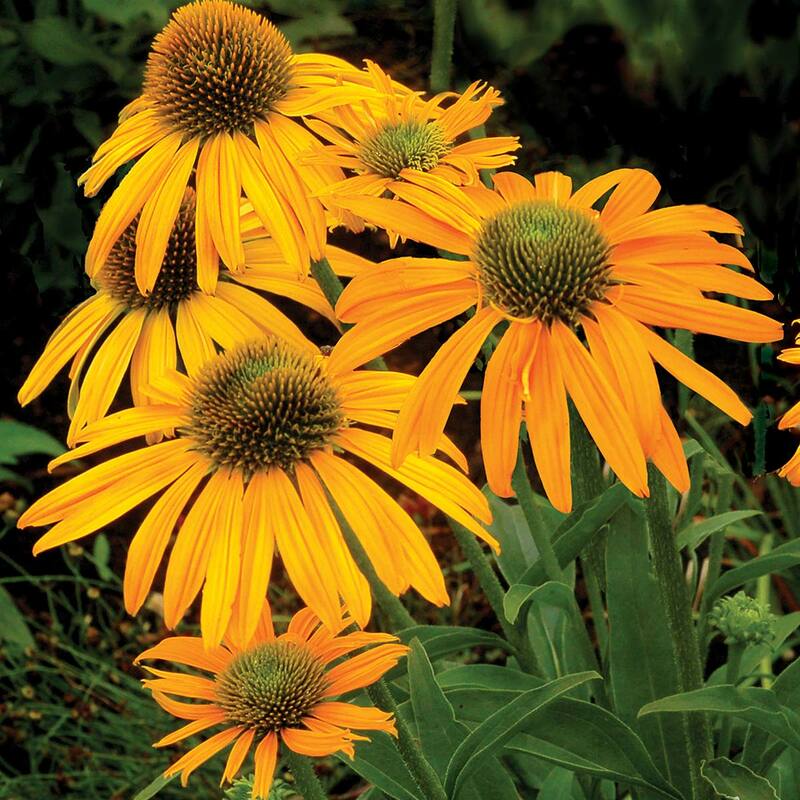 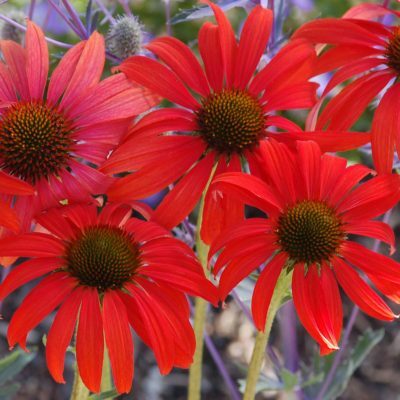 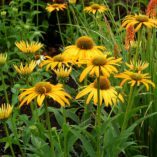 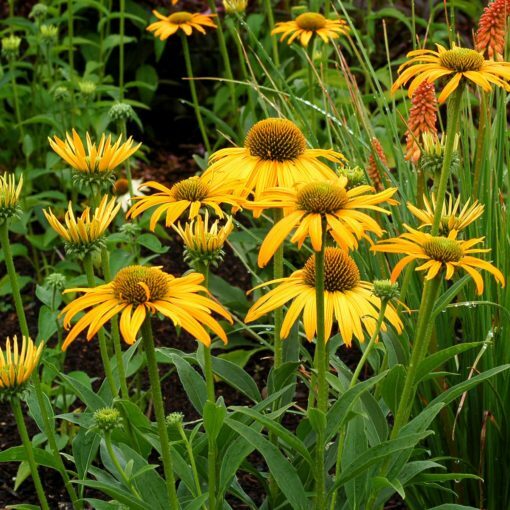 Echinacea ‘Now Cheesier’ | TERRA NOVA® Nurseries, Inc. 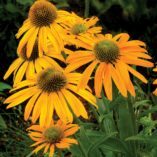 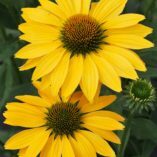 This deep, golden yellow Echinacea has melting cheddar blooms that lighten slightly after weeks of heat. 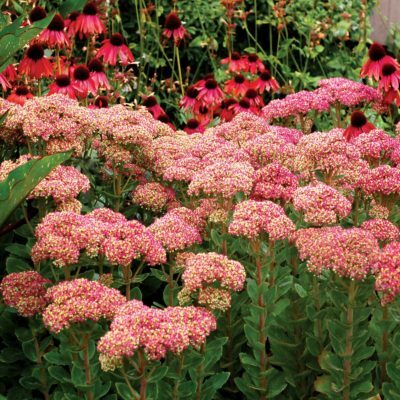 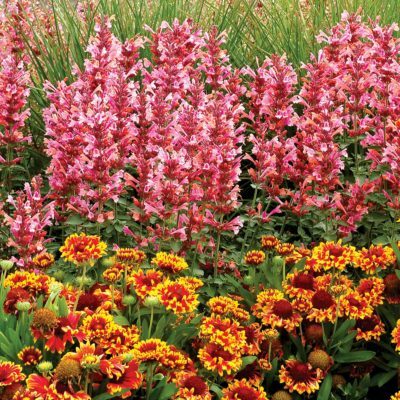 Blooms all summer from well-branched stems. 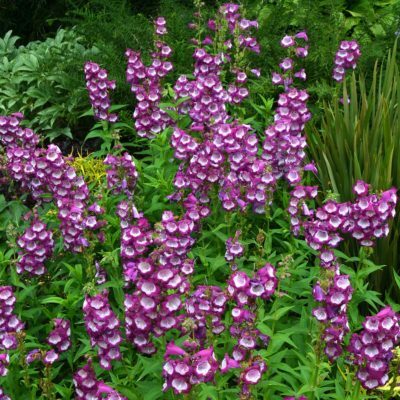 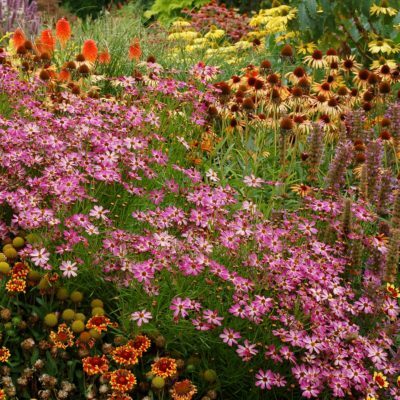 Excellent in the garden and as a cut flower. 15" / 26" / 22"
It has better branching and more vigor than 'Mac 'n' Cheese'. Compared to Harvest Moon™ it has better flower quality with longer and wider ray florets.